JOHANNESBURG - Former South African President Nelson Mandela is doing well after being discharged from hospital, although he is still not fully recovered, a government spokesman said on Thursday. "He is not yet fully recovered, but he has sufficiently moved forward so that he can be discharged," Mac Maharaj told local broadcaster eNCA. Former South African president Nelson Mandela looks on as he celebrates his birthday at his house in Qunu, Eastern Cape July 18, 2012. "He is sufficiently well to be home." The 94-year-old anti-apartheid leader and Nobel Peace Prize laureate was discharged from the hospital on Wednesday, ending a nearly three-week stay during which he was treated for a lung infection and had surgery to remove gallstones. Mandela, who has been in frail health for several years, is now receiving care at his suburban Johannesburg home. Mandela has a history of lung problems dating back to when he contracted tuberculosis while in jail as a political prisoner. He spent 27 years in prison, including 18 years on the windswept Robben Island off Cape Town. The former president was admitted to a Pretoria hospital on December 8 and this was his longest stay in a hospital since he was released from prison in 1990. Current President Jacob Zuma visited Mandela on Christmas Day and said the former South African leader was doing much better, making progress and in good spirits. Mandela was also admitted to a hospital in February because of abdominal pain but released the following day after a keyhole examination showed there was nothing seriously wrong with him. He has spent most of his time since then in another home in Qunu, his ancestral village in the impoverished Eastern Cape province. BEIRUT - Syrian President Bashar al-Assad sent a senior diplomat to Moscow on Wednesday to discuss proposals to end the conflict convulsing his country made by international envoy Lakhdar Brahimi, Syrian and Lebanese sources said. Syria's President Bashar al-Assad (R) meets International peace envoy for Syria Lakhdar Brahimi in Damascus December 24, 2012 in this handout photograph released by Syria's national news agency SANA. Brahimi, who saw Assad on Monday and is planning to hold a series of meetings with Syrian officials and dissidents in Damascus this week, is trying to broker a peaceful transfer of power, but has disclosed little about how this might be done. More than 44,000 Syrians have been killed in a revolt against four decades of Assad family rule, a conflict that began with peaceful protests in March last year, but which has descended into civil war. A video posted by rebels on Wednesday showed the bodies of dozens of soldiers executed by a roadside. At least one of them appeared to have been beaten to death. The United Nations and rights group say the military and rebels have both committed war crimes, but have so far placed most of the blame on the army. Past peace efforts have floundered, with world powers divided over what has become an increasingly sectarian struggle between mostly Sunni Muslim rebels and Assad's security forces, drawn primarily from his Shi'ite-rooted Alawite minority. Deputy Foreign Minister Faisal Makdad flew to Moscow to discuss the details of the talks with Brahimi, said a Syrian security source, who would not say if a deal was in the works. However, a Lebanese official close to Damascus said Makdad had been sent to seek Russian advice on a possible agreement. He said Syrian officials were upbeat after talks with Brahimi, the U.N.-Arab League envoy, who met Foreign Minister Walid Moualem on Tuesday a day after his session with Assad, but who has not outlined his ideas in public. "There is a new mood now and something good is happening," the official said, asking not to be named. He gave no details. Russia, which has given Assad diplomatic and military aid to help him weather the 21-month-old uprising, has said it is not protecting him, but has fiercely criticised any foreign backing for rebels and, with China, has blocked U.N. Security Council action on Syria. A Russian Foreign Ministry source said Makdad and an aide would meet Foreign Minister Sergei Lavrov and Mikhail Bogdanov, the Kremlin's special envoy for Middle East affairs, on Thursday, but did not disclose the nature of the talks. On Saturday, Lavrov said Syria's civil war had reached a stalemate, saying international efforts to get Assad to quit would fail. Bogdanov had earlier acknowledged that Syrian rebels were gaining ground and might win. Given the scale of the bloodshed and destruction, Assad's opponents insist the Syrian president must go. Moaz Alkhatib, head of the internationally-recognised Syrian National Coalition opposition, has criticised any notion of a transitional government in which Assad would stay on as a figurehead president stripped of real powers. PARIS - France maintains a presence in the Central African Republic to protect its interests and French citizens, not the government of President Francois Bozize, French President Francois Hollande said on Thursday. "If we have a presence, it's not to protect a regime, it's to protect our nationals and our interests and in no way to intervene in the internal business of a country, in this case the Central African Republic," Hollande said. "Those days are over," Hollande added, speaking on the sidelines of a visit to a wholesale food market outside Paris. WASHINGTON - It is one of those occasions that is quintessential Washington: the inauguration of a president, a multi-day festival of patriotism, politics, optimism and self-congratulation. U.S. President Barack Obama speaks about the fiscal cliff at the White House in Washington December 21, 2012. All of that will be on display on January 21, when President Barack Obama is publicly sworn in for his second four-year term. But this inauguration will be far less grand than Obama's first in 2009, when a record 1.8 million visitors flooded the city to see the nation's first black president take office. But the "inauguration markup" still applies: The Mandarin's least expensive room, normally available for $295 a night, starts at $1,195 a night during the long inauguration weekend. Even so, the demand for hotel and restaurant reservations for this inauguration pales compared with the rush that followed Obama's first election. "They swarmed to the market last time," said real estate agent Hill Slowinski, who deals in luxury properties. "We are not seeing the same level of interest" this year. Looking over the reservations for that night, Tommy Jacomo, who has run the restaurant for four decades, said: "It's mediocre. Nothing out of the ordinary." Jacomo said that for many of Obama's supporters, the 2009 inaugural celebration was a history-making one that can't be topped. "The second time, it's always not that big," he said. That has been the case in recent second-term inaugurations, particularly Republican Ronald Reagan's in 1985. Thanks to brutally cold weather, that became a mostly-indoor affair in which Reagan took the oath of office and delivered his inaugural address in the U.S. Capitol Rotunda rather than outside the Capitol. For Obama's second inauguration, the thrill might be lessened further by the fact that he will take the official oath of office from Chief Justice John Roberts in a closed ceremony the day before the public festivities - on January 20, as required by law. MOSCOW - A bill banning Americans from adopting Russian children went to President Vladimir Putin for his signature on Wednesday after winning final approval from parliament in retaliation for a U.S. law that targets Russian human rights abusers. Orphan children play in their bedroom at an orphanage in the southern Russian city of Rostov-on-Don, December 19, 2012. Putin has strongly hinted he will sign the bill, which would also outlaw some U.S.-funded non-governmental groups and impose visa bans and asset freezes on Americans accused of violating the rights of Russians. The Federation Council, Russia's upper house of parliament, voted unanimously to approve the bill, which has clouded U.S.-Russia relations and outraged Russian liberals who say lawmakers are playing a political game with the lives of children. U.S.-Russia ties are already strained over issues ranging from Syria to the Kremlin's treatment of opponents and restrictions imposed on civil society groups since Putin, in power since 2000, began a new six-year term in May. The bill has also drawn unusual criticism from senior government officials including Foreign Minister Sergei Lavrov and Olga Golodets, a deputy prime minister who warned the Kremlin that it may violate an international convention on children's rights. Lavrov said last week that the ban would be "wrong", and that Russia should stand by a long-awaited bilateral accord that improves its ability to keep tabs on children adopted by Americans, which entered into force on November 1. But Lavrov appears to have backed down. Foreign Ministry officials said on Wednesday that the bill would not violate the 1989 Convention on the Rights of the Child, and Russia would take steps to halt the bilateral agreement. Putin has described the bill as an emotional but appropriate response to U.S. legislation he said was poisoning relations. U.S. President Barack Obama this month signed off on the Magnitsky Act, which imposes visa bans and asset freezes on Russians accused of human rights violations, including those linked to the death in custody of an anti-graft lawyer in 2009. MANAGUA - Nicaragua's tallest volcano has belched an ash cloud hundreds of meters (feet) into the sky in the latest bout of sporadic activity, prompting the evacuation of nearby residents, the government said on Wednesday. The 5,725-foot (1,745-meter) San Cristobal volcano, which sits around 85 miles (135 km) north of the capital Managua in the country's northwest, has been active in recent years, and went through a similar episode in September. The latest activity began late on Tuesday. Juventus midfielder Arturo Vidal is of the opinion that the Bianconeri can secure an historic treble this season. The Old Lady hold an eight-point advantage in Serie A, and are through to the next stage of both the Coppa Italia and the Champions League. While Vidal has stressed that a successful defence of their Scudetto crown is the main objective, he believes the side are capable of achieving even more. "The intention is to get back to winning the title. And then we'll try with the Champions League and the Italian Cup," he was quoted as saying by Tuttosport. "We are well prepared for the three competitions. I have many positive feelings about this season, and a lot of confidence that everything will be realized." 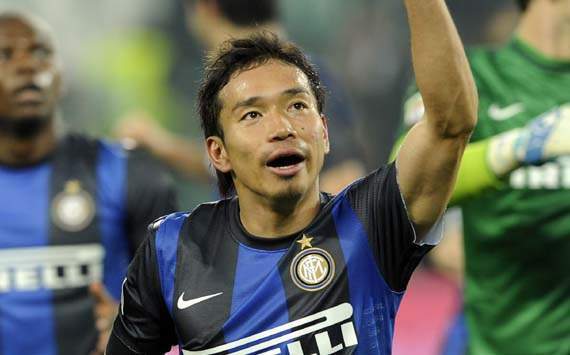 Yuto Nagatomo believes Inter trail Juventus in the Serie A table because of their inability to win "easier games". The Bianconeri top Serie A with 44 points from 18 games, while the Nerazzurri - who had a rocky start to the campaign - are lagging nine points off the lead in fourth, with Lazio and Fiorentina also ahead of them. The Japan full-back told ANSA: "I think Juventus are very good in the easier games, whereas we've lost a few points in those. Our squad is still a work in progress, but we have huge potential." Kevin-Prince Boateng has lavished praise on AC Milan striker Stephan El Shaarawy, claiming he can become the new Zlatan Ibrahimovic. The Italian has been a revelation for the Rossoneri since the Swede's departure last summer, notching 16 goals so far this season, and the Ghana international believes the 20-year-old is fast becoming a player of high calibre. "We almost have a new Ibrahimovic: if El Shaarawy continues like this, he will surely become that," Boateng told Die Welt. "With a striker like Ibrahimovic, players like me and Nocerino had more space and therefore more chances to score. Now it is a bit more difficult, but we have improved a lot and we can do even more." Santos forward Neymar has admitted that playing for Barcelona would be "a dream", but maintained that Catalunya is only one of several possible destinations for him. The gifted attacker is wanted by a string of the top clubs in Europe, and although he considers the Blaugrana to be a great side, he insists that he has no special preference for the Camp Nou outfit. "I'm sure the time will come to play in Europe," he was quoted as saying by AS. "It's a childhood dream, but I think it still has not arrived. "Barcelona have players I have always admired and I think I could play there. They have great footballers and that's one of my dreams, but no, I never had a preference for Barcelona." Newcastle went down 4-3 at Old Trafford in the Boxing Day fixture but what a match to savour for all, losing party included. 7 goals, an injury time winner and a shock scoreline. Two out of those three components were the result of Newcastle United's endeavour with Manchester United's contribution being the injury time winner. How many times has that happened this season? The last time I penned something on Manchester United the tally stood at four, and that was right after the Manchester derby just over two weeks ago when a Robin Van Persie injury time winner won the game after the hosts had clawed back from a two-goal deficit. So what are the odds the Red Devils would pull a similar stunt again? Pretty low apparently. 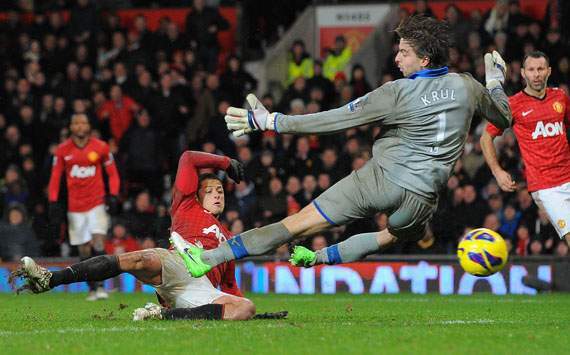 Javier Hernandez's 91st minute winner against Newcastle was the fifth such event for his side in the league this season from 19 games. But I'm sorry Manchester United fans, the excitement on Wednesday night came not from the winner, that has been done to death, but from the surprisingly swashbuckling play of a Newcastle side so out of form that they are fighting a remote relegation battle. The Magpies have not won at Old Trafford since 1972/73 when goals from John Tudor and Stewart Barrowclough earned a 2-0 win. The last 10 years have been miserable no less, with a few exceptions. The 5-3 defeat in 2002/03 when both sides were in the title chase, the 1-1 draw in 2008/2009 when Newcastle ultimately fell through the trapdoor. The latter at least ended the goal drought at Old Trafford and inclusive of last night's fixture, started a trend of closely fought matches. K. Nanthakumar is already a well-known figure in Malaysian football, having featured for the national team at one point, while also featuring for Perak FA at the highest levels. Nevertheless, his hunger for success still remains intact, with Nantha aiming to win trophies with Kelantan FA next season. The former national team midfielder joined the Red Warriors on a free transfer, after his contract with Perak FA ended in November. Nanthakumar has already integrated well into Bojan Hodak's training methods and he is now fully focused on helping Kelantan FA continue their dominance in 2013. "I am delighted to be here with Kelantan FA, who are the reigning Malaysian Super League champions"
"Now that I'm here, I want to do my best to help this club continue it's dominance and win trophies next year. I certainly believe that we can win the treble again in 2013." The trainer praised the work of Jupp Heynckes at the helm of the Bavarians, and insisted that the German side are more than capable of going all the way in the tournament. "Together with Barcelona and Madrid, Bayern are the strongest team. Without a doubt," the trainer told Bild. 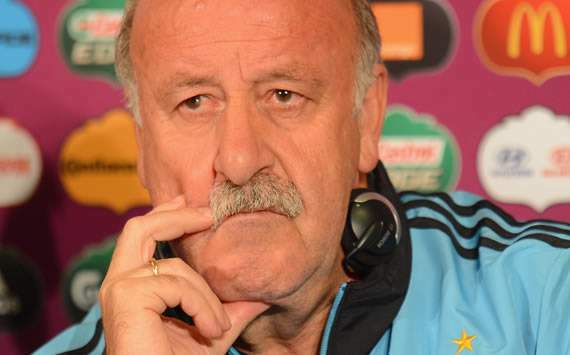 "We [Del Bosque and Heynckes] know each other and I respect him a lot. He did a great job as coach of Real Madrid. "He earned the club their seventh Champions League victory in 1998 after the fans had to wait more than 30 years. He is doing well now." Former Pelita Jaya striker Safee Sali started his first game for new club Johor Darul Takzim as they ran out 5-1 victors against Singapore club Woodlands Wellington in a pre-season tournament on Wednesday. 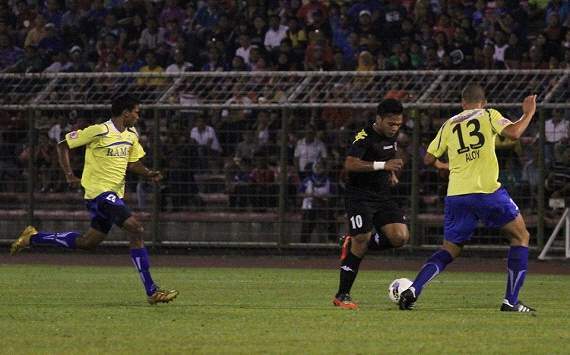 The Malaysian international formed a telepathic partnership with former Spain striker Dani Guiza in front of a packed stadium in Larkin, Johor Bahru. Guiza grabbed the opener before setting up the second for Safee and the latter then scored his team's third of the night with a scorcher from forty yards out. 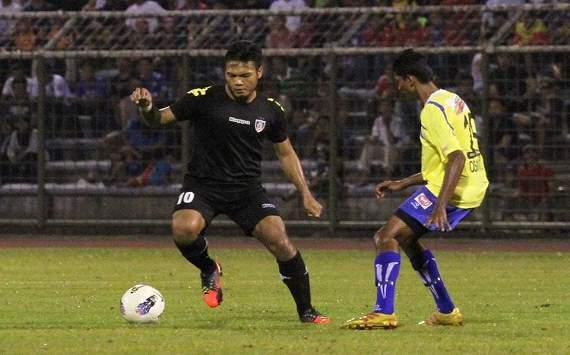 Safee expressed his belief that the team still need more time to familiarize themselves with each other. “This is a good start for me, Guiza and the team. 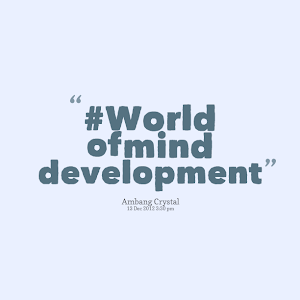 But we still need to work hard and foster a closer understanding between us and the other players. All of us here are still looking to adapt to one another and I am thankful that we did well in the game.” Safee explained. An estimated 20,000 Johor Darul Takzim fans caught a glimpse of their newly-assembled, star-studded side on Wednesday night at the Tan Sri Dato Hj Hassan Yunos Stadium in Larkin, Johor Bahru, as they played in a pre-season quadruple tournament. Coached by Singapore footballing legend Fandi Ahmad, Darul Takzim were a class above their opponents Woodlands Wellington FC as they ran out 5-1 victors. Former Spain international Dani Guiza opened the floodgates in the 10th minute via a well-taken freekick, which had Rams goalkeeper Ahmadulhaq Che Omar rooted to the ground. With Safee Sali partnering the Spaniard upfront, the Woodlands central defensive pair of trialist Oliviera Dos Santos [Brazil] and Manu Lebron [Spain] had their work cut out for them. Both team slowed down the pace after the goal and were content to pass the ball around while looking for a quick break on the counter. That was exactly what the hosts did three minutes before the half-hour mark, as Guiza wriggled his way past Armanizam Dolah near the penalty box before threading a precise ground ball to the far post for Safee to tap in the second goal of the night.